This is a Poem My 11 year daughter wrote, Children are Amazing & Simple ! I am a short little girl who has a big heart!! I wonder if god will make me a doctor. I hear my mom and dad say you will get taller don’t worry. I see me being an ob gyn doctor. I want to have a beautiful life. I am a short little girl who has a big heart. I pretend to be a doctor on my brother. I feel like my uncle is with me when I go to bed. I touch the clouds in the sky!! I worry about when the world will end. I cry that my uncle died. I am a short little girl who has a big heart. I understand that there will be a rapture. I say there is a god. I dream that I live in a world with peace. Bubble time Vignett, originally uploaded by The Chateau of Remants Flickr. Okay.. I confuse ... 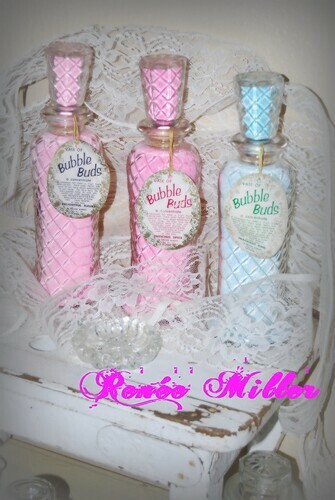 I have been doing a little shopping, while I was out I feel in love with this Very Cute Bathroom 50's bubble time! 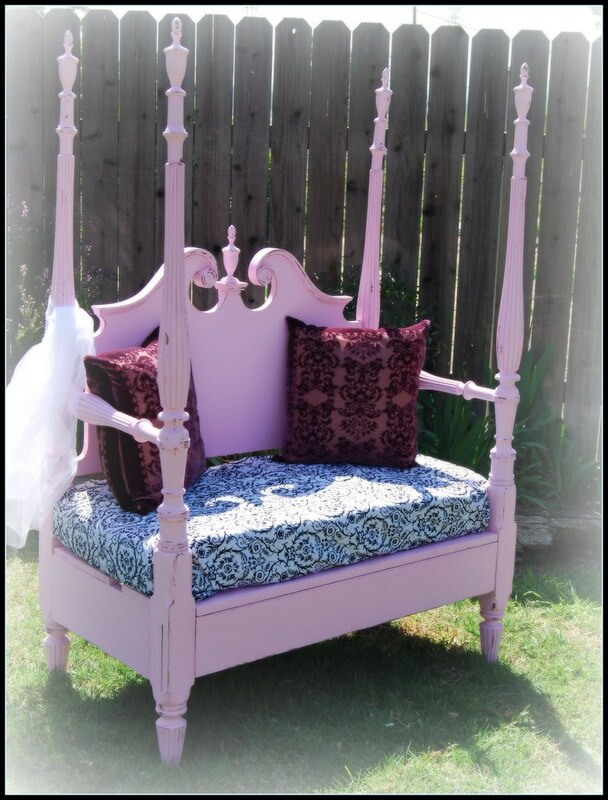 I think I mostly feel in love with the color and that is was a set of 3! Just wanted to share my sweet little find for the day. So... 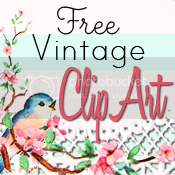 I thought in honor of being featured,I would have a sale! 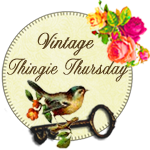 Everything in my shops are 20% off! Just for you! Stop in and see all the goodies! 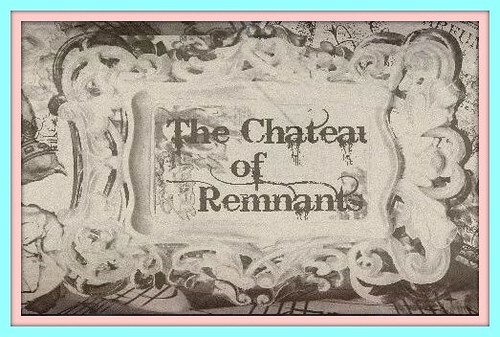 The Chateau of Remnants has received a really honorable award!! WOW!!! I received an award!! 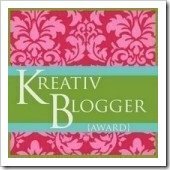 has honored The Chateau of Remnants blog with the Kreativ Blogger Award...Yeah!!! * I enjoy all of my family & Friends! The second part of this post is a little harder, because you need to pass this award on to 7 blogs you consider creative. Not an easy task, we are surrounded by creativity in Blog Land! 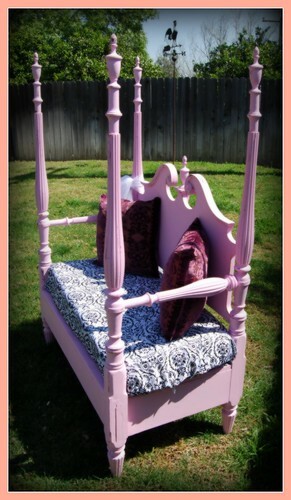 http://gardenantqs.blogspot.com ...oh my great finds here! Have a super week and spread the joy! oldphoto(2), originally uploaded by The Chateau of Remants Flickr. Here is the project that I have been working on for about a week now! 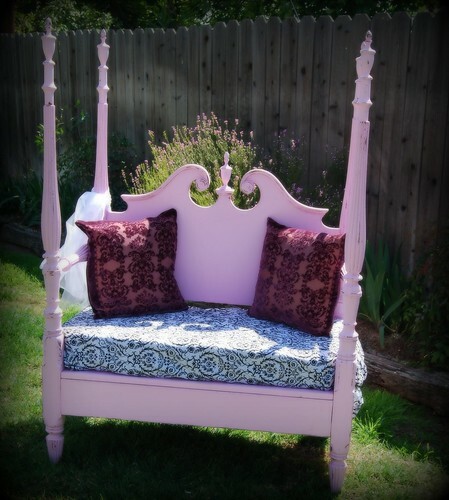 I took an old bed and turned it into a bench. 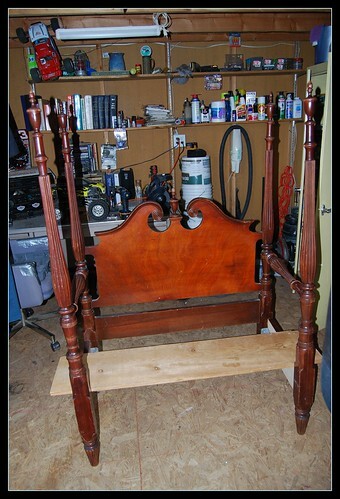 One of items that was going to the Flea Market in Temecula but, will never make it! It has already been SOLD!! Good thing... I Feel in love with it! I wanted to keep it!! 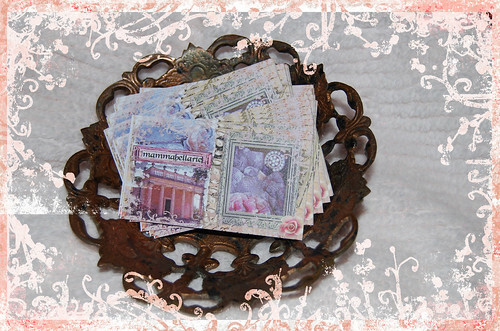 rita cards, originally uploaded by The Chateau of Remants Flickr. 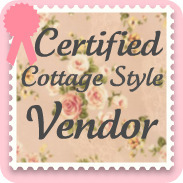 My Recent custom business card, blog, banner/logo design for Rita! 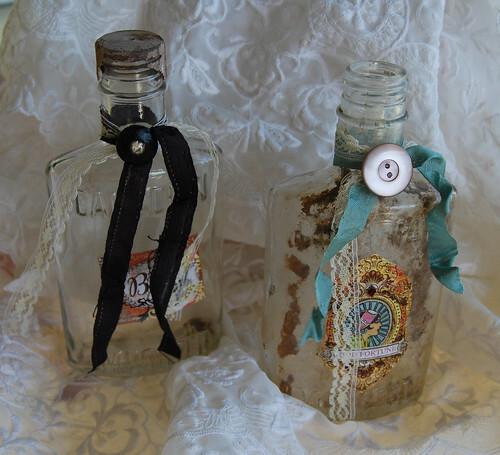 Take a look at her blog and see my recent work! This was a very fun enjoyable design. Thanks Rita for allowing me to create your New Look!! If you are interested me please send me an email! ebay_2009 03 02_2581_edited-1, originally uploaded by The Chateau of Remants Flickr. 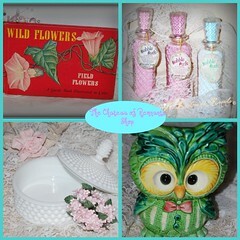 Here is a "Sneak Peek" of some delightful and unexpected treasures I have been making and gathering for The Flea Market! A pretty bud vase for any office, room or special place you see fit!